Portland Tribune sports columnist Kerry Eggers has written a book through Skyhorse Publishing Co.
Over nearly a half-century of NBA basketball, the Trail Blazers have fielded teams featuring characters and players with character. But never has there been a more infamous group than the "Jail Blazers" of the late 1990s and early 2000s. 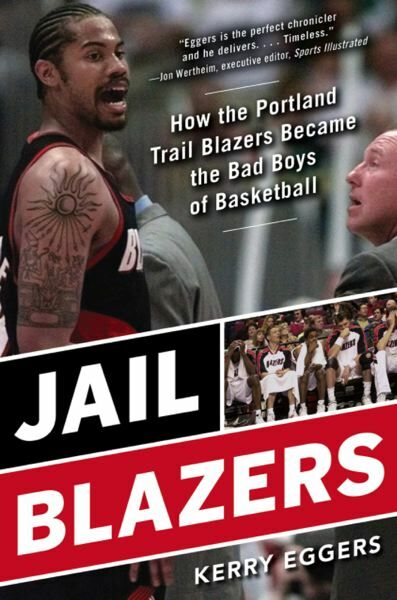 Portland Tribune sports columnist Kerry Eggers has written a book through Skyhorse Publishing Co. in New York City titled "Jail Blazers: How the Portland Trail Blazers became the Bad Boys of Basketball." The Tribune will run excerpts from the book in four consecutive issues, beginning today. It was an exciting, but in some ways, stormy era for the Blazers, who twice reached the Western Conference finals but also had an unprecedented flurry of on- and off-court incidents with such players as Isaiah "J.R." Rider, Rasheed Wallace, Bonzi Wells, Damon Stoudamire, Zach Randolph, Ruben Patterson and Shawn Kemp. The Portland teams from that time period were notorious for the misbehavior of some of their players. Those issues overshadowed the on-court successes and cast aspersions on teammates who didn't contribute to the malaise such as Arvydas Sabonis, Brian Grant, Jermaine O'Neal, Scottie Pippen, Steve Kerr and Chris Dudley. Eggers interviewed about 70 coaches, players, executives, broadcasters, club employees, referees and others who offered insight about the Blazers of that era. He spoke with all four head coaches — P.J. Carlesimo, Mike Dunleavy, Maurice Cheeks and Nate McMillan — and provides a balanced look at the good and bad that occurred during a time when Blazermania raged, then flickered for a spell. Today's offering (see Sports) is a compilation of quotes, comments and observations to give the reader an idea of the content of the book. The next three excerpts will feature memories from Stephanie Smith-Lockness, flight attendant from the Blazers' team plane; an extraordinary fight at practice between Randolph and Patterson, and the unforgettable finish to Game 7 of the 2000 West finals against the Los Angeles Lakers.